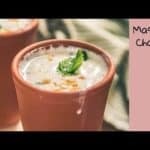 Masala Chaas or spiced buttermilk is a refreshing Indian drink that is mildly spicy and tangy, usually savoured after meals to improve digestion or before meals as a stomach cleanser. 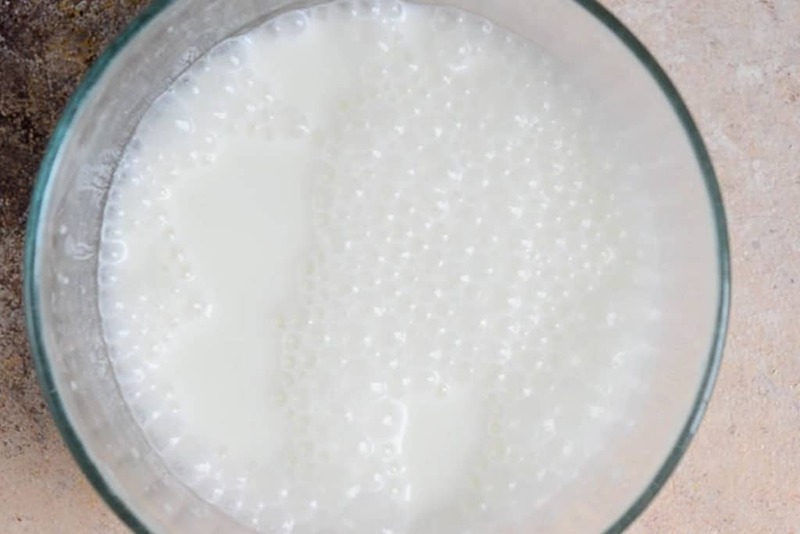 Here is a video recipe to make Masala Chaas at home. Masala Chaas is a mandatory part of the daily diet in the Northern part of India and even in the many other regions of India. 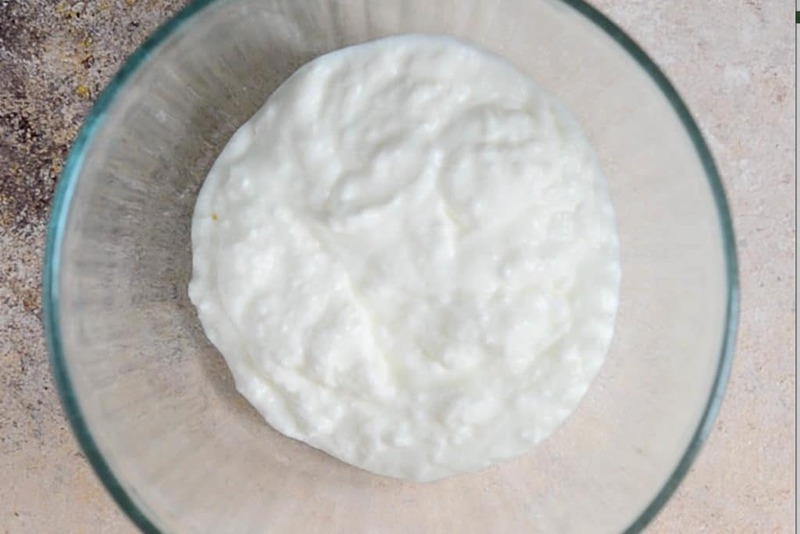 There was a time it was served in earthen pots to preserve its nutrients and properties. However, these days, we have taken to glasses. Most of the ingredients used in its preparation are common spices found in any Indian kitchen. Roasted cumin powder is considered a muscle relaxant, and coriander and mint leaves are natural coolers that regulate body temperature. Pepper is good for cold and is what gives the spice in this drink. A combination of curd, water, and spices, Masala Chaas comes to your rescue every time you feel dehydrated or fatigued during summer. Whether after a heavy meal of white rice and Alleppy Fish Curry or even a regular meal of rice, Masala Channa Dal and veggies, this cooling drink is one that you gradually start loving. 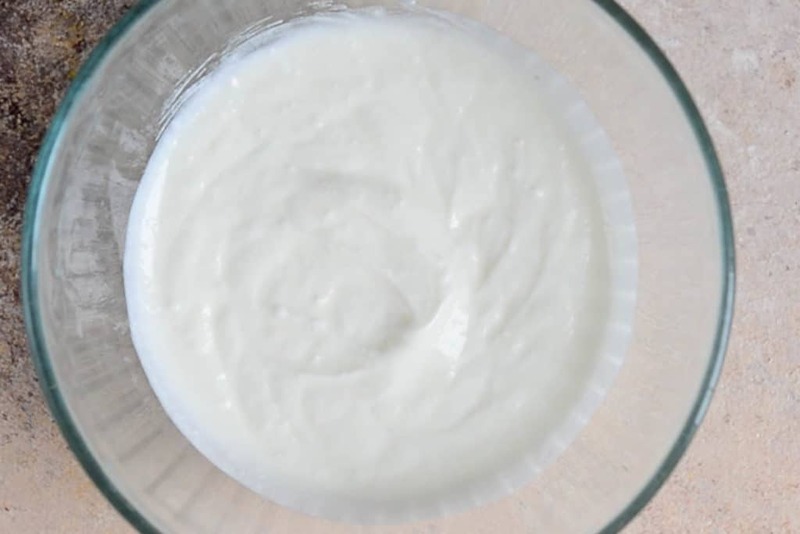 So take a note of its recipe, make it this summer and do not forget to relish a chilled glass of Masala Chaas Recipe or Spiced Buttermilk Recipe every day along with your meals. You can also add 1/2 tsp of ginger green chilli paste to this recipe for a spicy kick. Plus ginger has so many benefits, you want to consume in whichever way possible. 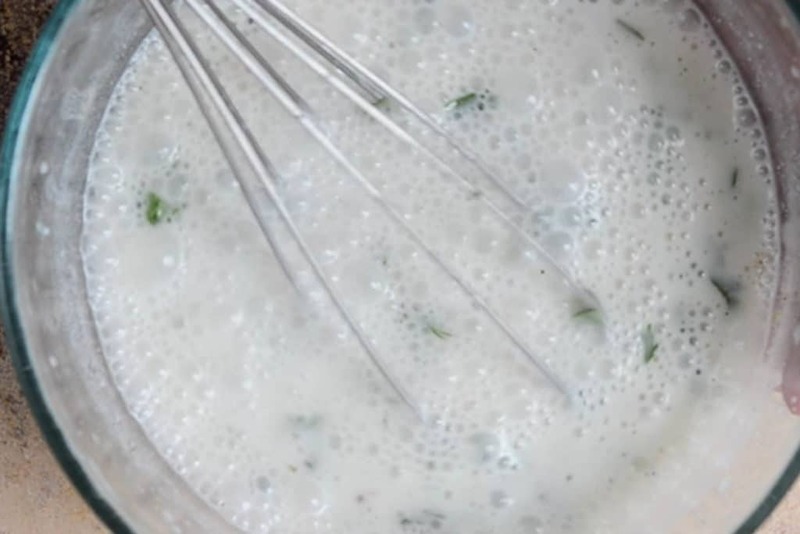 How to make Masala Chaas in a blender? 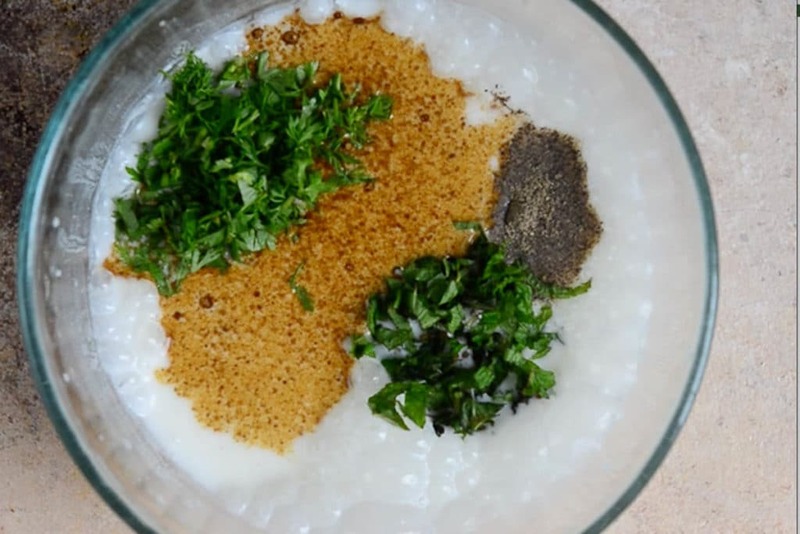 Making Masala Chaas in a blender is super easy. All you have to do is dump all the ingredients in the jar and blend until everything comes together. To get more foodie updates, follow me anytime on Facebook, Twitter, and Instagram! Add water and whisk again to form froth on top. Masala Chaas is a refreshing Indian drink that is mildly spicy and tangy, usually savoured after meals to improve digestion or before meals as a stomach cleanser. Add water and whisk vigorously again to form froth on top.